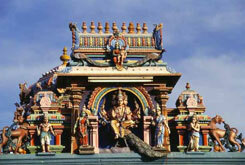 India is one of the most sought after and preferred tourism destinations in South Asia. Tourists from all around the world embark on India tours every year to explore its diverse terrain, fascinating destinations, rich culture & tradition, historical monuments, heritage sites, and wildlife attractions. Swagat Tours & Travels is one of the most reliable and top tour operators in India offering a range of tour packages to explore India in most convenient ways. 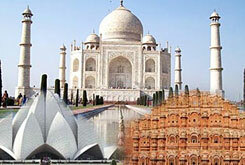 Discover India’s rich culture and heritage exploring popular destinations and new places with carefully designed India tour packages and itineraries that cover a perfect amalgamation of wonderful sightseeing and exciting activities. Our India tours packages include excellent travel services, knowledgeable tour managers, and first-class accommodations facilities. Swagattours.com is one of leading India travel guide portals where you will get complete information about India tours and tourism. 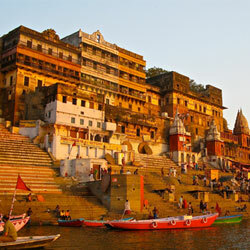 You will find very reliable and authentic information related to Rajasthan tour packages, North India tours, South India tours, Wildlife tours, Indian cities, travel destinations, tourist attractions, fairs & festivals, Indian food & cuisine, history & culture, things to do on India tours, and travel tips on where to go, what to see and where to stay. 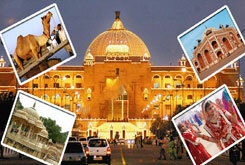 Exploring India tours will give you a delightful tourism experience to cherish for life time. 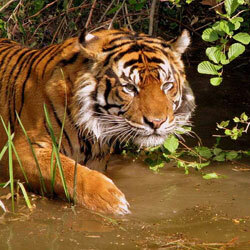 Check out our featured India tour packages now, and plan your India tours with us choosing the right and suitable package for you. 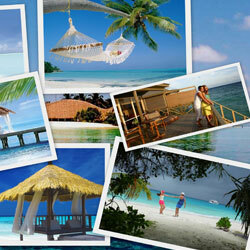 Our tour packages can be customized as per your needs and preferences. Very good & excellent. For sam desert camping, we arrive much too early so feel free to tell visitors the best time to arrive is 4PM for camel safari. Vehicle was good, driver was friendly &amp; Professional. He looked out for our safety and always asked us what we thought about places/rest stops. He was flexible when we changed plans and knowledgeable of sights opening/closing times. Good, well planned, Had enough time to visit all the places at respective destinations. Nemish has taken care of most of the things. Vehicle was very comfortable. Mr. Narpat Singh Ji is a very fine driver with good nature and he has lot of knowledge about the places. Arrangements in hotels should also depends on whether visitor is a vegetarian or a non-vegetarian because if food is good, it enhance the beauty of the place. Thank you for tour. Overall tour planning was very good. Vehicle was comfortable & spacious. We took the journey very well. Driver was polite, attentive & well behaved & drive very carefully. Thank you for tour. Very good tour planning with adequate time everywhere. Vehicle condition is very good but with 12 people slightly inconvenience when bags are loaded. Driver is very good &amp; well mannered. Suggestion for better property In both Jaisalmer & Bikaner could have been given.